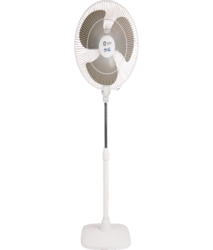 We are a top-notch organization, engaged in providing Orient Electric Pedestal Fan. We are engaged in offering Orient Electric Pedestal Fan. We are one of the leading organizations engaged in delivering its customers with best series of Orient Stand Pedestal Fan White. The entire range is quality tested on various parameters to ensure its flawlessness prior to its final delivery.